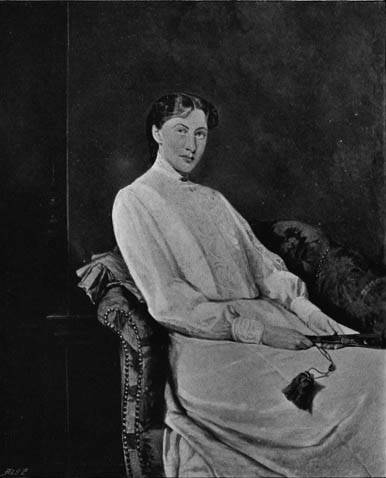 Mrs Spenser Wilkinson was Eyre Crowe’s niece Victoria (1863-1929), eldest daughter of Sir Joseph Archer Crowe. Viccy had been born in Germany, and married the eminent Professor Henry Spenser Wilkinson (1853-1937). The last of her six children had been born in 1899. The family lived in Chelsea, near Crowe’s studio and the South Kensington Museum, and saw a great deal of their uncle. Crowe’s diaries indicate that he was working on a portrait in 1902, but that serious work was begun in January 1904.